Dr. Kogan is an expert in the art of cosmetic, general and orthodontic dentistry with a Bachelor of Science Degree from the University of San Francisco (1996) and Doctorate in Dental Medicine from the University of the Pacific School of Dentistry (1999). He is a member of American Dental Association, American Academy of Cosmetic Dentistry, California Dental Association, San Francisco Dental Society. 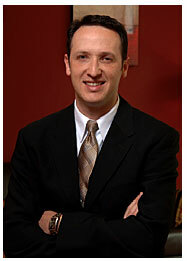 Dr. Kogan is an Assistant Clinical Professor at the University of the Pacific School of Dentistry. He is on the faculty at the Department of Restorative Dentistry. Dr. Kogan has been named the top cosmetic dentist by the Consumers’ Research Council of America for the past three years. Dr. Kogan has dedicated his state of the art spa-like dental practice to his patients who are seeking to improve, renew, and rehabilitate not only their smile, but also their overall health. Dr. Kogan practices dentistry which takes into account the whole person and recognizes that dental conditions and procedures impact a person’s general health and well-being. The health of the mouth and the health of the body simply cannot be separated, Dr. Kogan maintains. With that in mind, Dr. Kogan practices Minimally Invasive dentistry, or Microdentistry. The goal of minimally invasive dentistry is to conserve healthy tooth structure. It focuses on prevention, remineralization, and minimal dentist intervention. Using scientific advances and specific techniques, minimally invasive dentistry allows Dr. Kogan to perform the least amount of dentistry needed while never removing more of the tooth structure than is required to restore teeth to their normal condition. In addition, in minimally invasive dentistry, long-lasting dental materials are used in order to conserve the maximum tooth structure so the need for future repairs is reduced. Dr. Kogan is passionate about creating beautiful and healthy smiles using this as a guiding principle. He believes in combining the most natural and minimally invasive treatment available with the latest technologies and rejuvenating relaxing spa environment in order to provide his patients with the optimal oral health and for life. Dr. Kogan is highly committed to mastery in the latest in dental innovations. He has completed thousands of hours of advanced post-graduate training in various aspects of cosmetic dentistry, general and microdentistry, and orthodontics. His training and experience allow Dr. Kogan to offer patients a range of sophisticated dental procedures, including invisalign, dental implants, porcelain veneers, and teeth whitening, and many others. Dr. Kogan is happily married to his wife, Julia, who is an office manager at The Dental Spa. They have two sons, Daniel and Edward. When he is not working, Dr. Kogan enjoys reading, swimming and traveling with his family.